Formed in 1986, Plenty was Tim Bowness’s immediate pre-no-man band. In 2017, Bowness and founder members Brian Hulse and David K Jones re-recorded Plenty’s catalogue of 1980s songs. A meticulous labour of love and a fascinating hidden history, the album was mixed and instrumentally augmented by Jacob Holm-Lupo (White Willow). Mastered by The Pineapple Thief’s Steve Kitch, Michael Bearpark, Peter Chilvers and no-man violinist Steve Bingham also contribute. Available as a CD in a six panel digipak, 140g black vinyl in gatefold, and a limited 140g blue vinyl version in gatefold: All with striking artwork by Carl Glover. 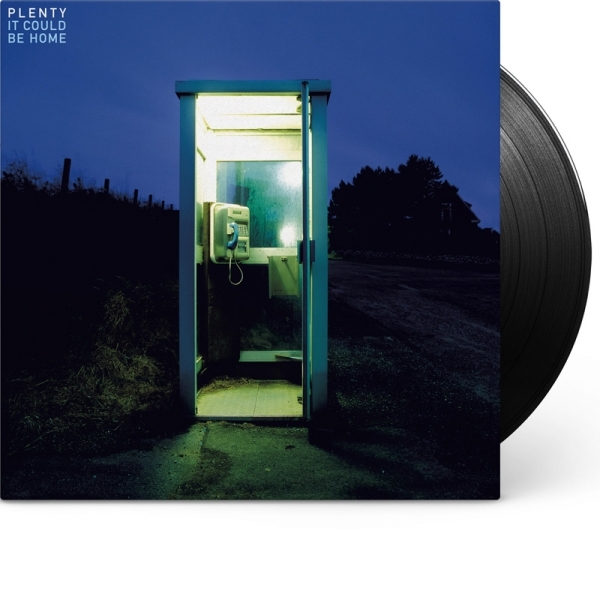 It Could Be Home is a debut release over thirty years in the making. Emerging from the ashes of Liverpool-based Post-Punk eccentrics A Better Mousetrap and Warringtonian Art Rock band After The Stranger, Plenty formed in 1986 and was Tim Bowness’s immediate pre-No-Man band. Distinctively echoing then contemporary artists such as The Blue Nile and Prefab Sprout - alongside the iconic likes of David Bowie and Peter Gabriel - Plenty’s music alternated between electro-pop anthems, poignant ballads and ambient experiments and was unheard at the time beyond two North West performances and a handful of plays on local radio stations such as Piccadilly Radio, BBC GMR, BBC Radio Merseyside and Radio City.. Between Spring 2016 and Summer 2017, founder members Tim Bowness, Brian Hulse and David K Jones re-recorded Plenty’s catalogue of 1980s songs and set about completing the album the band had hoped to release three decades previously. Whilst re-writing some lyrics and streamlining elements of the songs’ arrangements, the band remained faithful to both the spirit of the original recordings and the era in which the songs were written. Showcasing the origins of styles that subsequently became Bowness and no-man trademarks, It Could Be Home also reveals different sides to Bowness’s vocals, as Jones’s powerful bass playing and Hulse’s inventive guitar parts and pulsating electronics push Bowness into territories he’s rarely explored since the 1980s. The Rolling Stones’ As Tears Go By is given a radical synth-heavy overhaul, Hide and Climb possess a driving Post-Punk energy, while pieces like Foolish Waking and Strange Gods anticipate the timeless atmospheric melancholy of Bowness music to come. The Good Man - the band’s first new song in 27 years - provides a seamless link between Plenty‘s past and the present. A lost Art Pop treasure well and truly found.